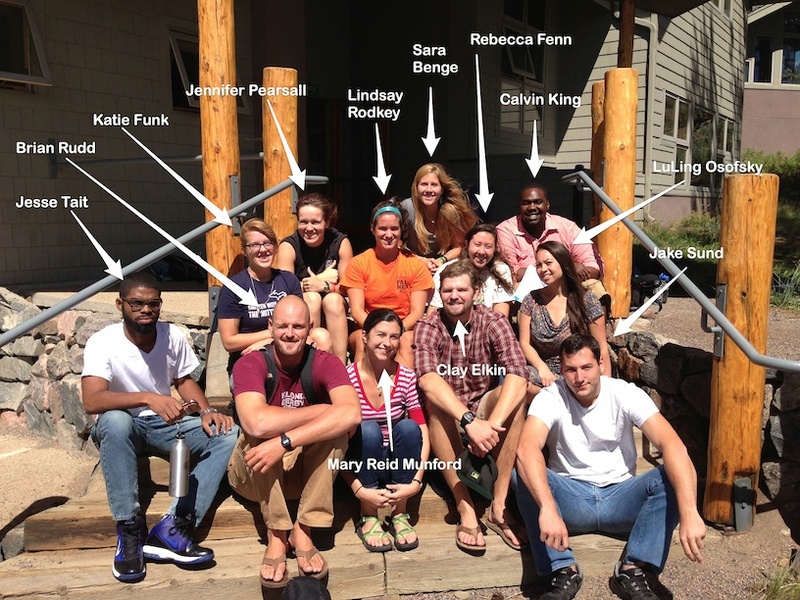 It’s not just our students who have to come up with a plan for “Life After Eagle Rock.” Consider the plight of our Public Allies fellows, who must face this challenge each and every summer as their year-long commitment to Eagle Rock comes to a close. Which brings us to a trio of our fellows who have discovered different ways of extending their work in education next fall. 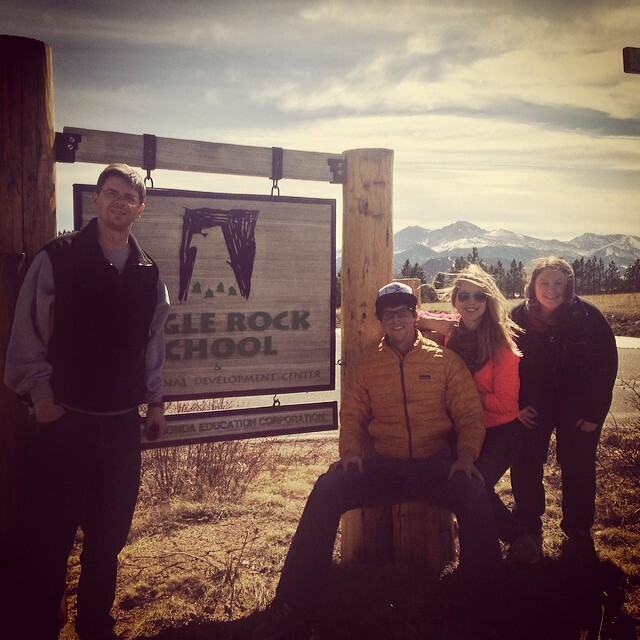 Next year, Clay will continue his work in experiential education as a 9th-12th grade math teacher and “crew leader” at Rocky Mountain School for Expeditionary Learning in Denver. The word “collaboration” can often have a messy connotation. To some, that five-syllable word is associated with confusion. It can be loud, unstructured, overcrowded, and things rarely resolve perfectly when collaboration is involved. 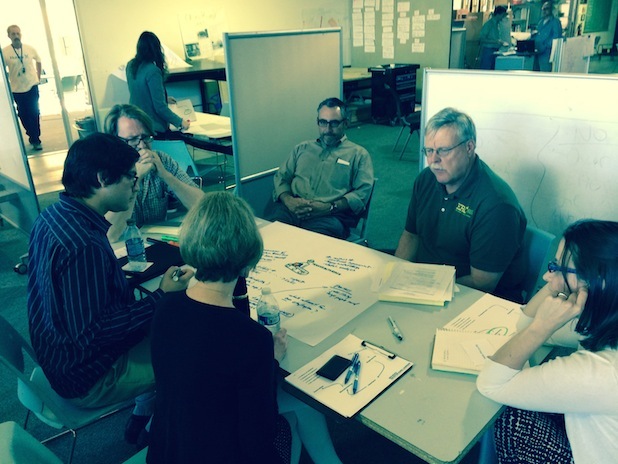 That having been said, collaboration is also a core value of teachers at Voyager Academy High School. We not only require it of our students, but we practice it professionally. At our campus in Durham, N.C., teachers work in Critical Friends groups twice a week to share ideas, debrief projects and lessons, discuss pedagogy and encourage cross-curricular teaching. But just having these collaborative groups in place doesn’t mean they always work as well as we want. And even when they do, it doesn’t mean we always get the results in the classroom that we desire. The values are there, and the system is in place, but — as is often the case — more needs to be done. As such, we brought a team of five teachers to Eagle Rock School and Professional Development Center with the goal of improving our Critical Friends groups. Of course, we knew that was our goal, but that didn’t mean that we were able to articulate that to anyone else. And the irony did not escape us that we needed outside collaboration to help us realize that our goal of providing more effective collaboration. Eagle Rock gave us the place and the people necessary to achieve that goal. Visit the Rocky Mountain National Park (RMNP) website and you’ll learn that the vitality of the forests in the Park depends on fire. According to the National Park Service (NPS), fire removes the thick layer of decaying vegetation on the forest floor, while at the same time creates a mosaic of different types and ages of forest vegetation that improves habitat and increases the diversity and abundance of wildlife. 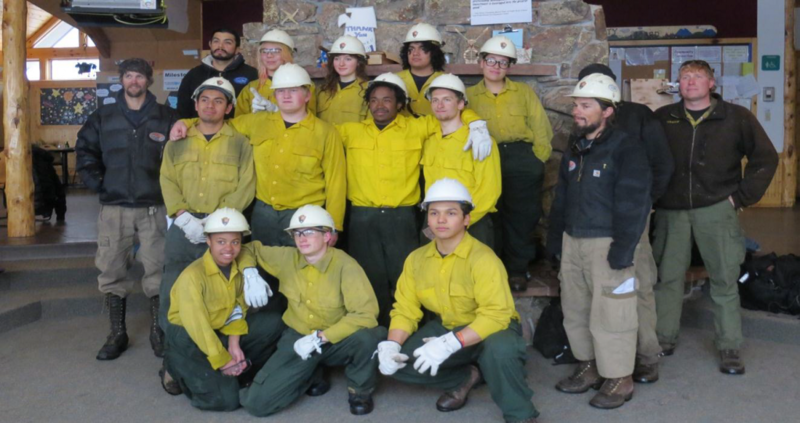 And when it comes to developing skills as a wildland firefighter, Eagle Rock’s campus setting within wilderness — just minutes away from the boundaries of RMNP — is a definite plus for students interested in learning more about a career in forestry management. That’s why we joined forces and created a program with the Continental Divide Research Learning Center (CDRLC) and the Alpine Interagency Hotshot Crew (AIHC) — so our students can gain an intimate knowledge of a neighboring world-renown national park as well as those who work within the National Park Service to combat and manage forest fires. As a result, select Eagle Rock students not only have the opportunity to call RMNP their classroom, they’re also be able to learn from and quiz national park employees, exploring the options the park service might have to offer post-Eagle Rock.